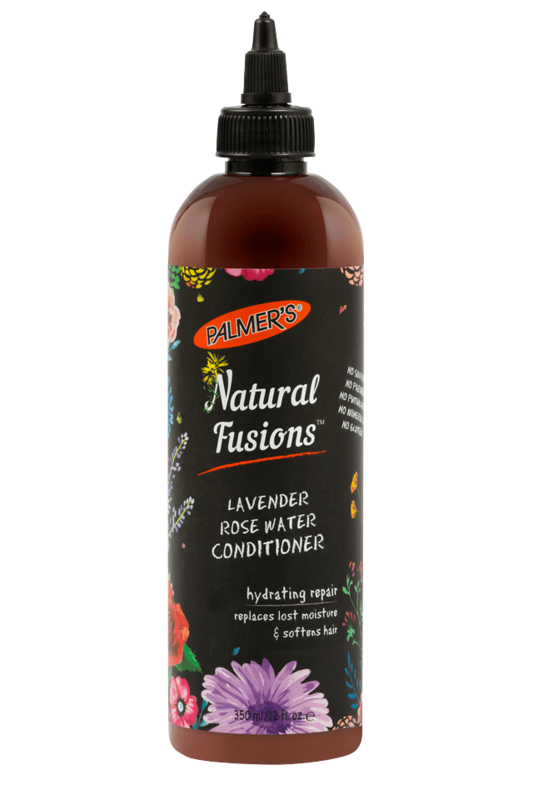 An artfully crafted cocktail of nature's most nourishing and hydrating botanicals, Palmer's Natural Fusions uses the purest ingredients to care for your hair. This repairing conditioner goes to work right away softening hair texture, leaving hair hydrated & less prone to frizz, for easier styling. 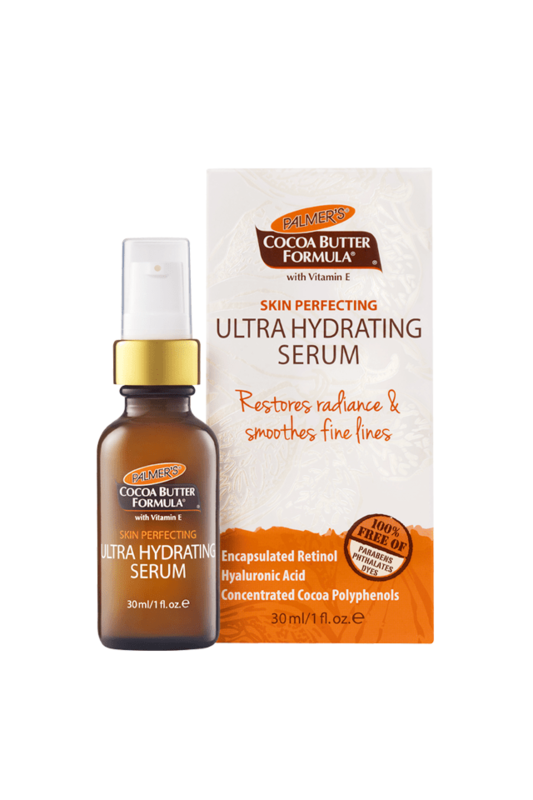 Infuses hair with natural moisturisers for replenished and softened hair. 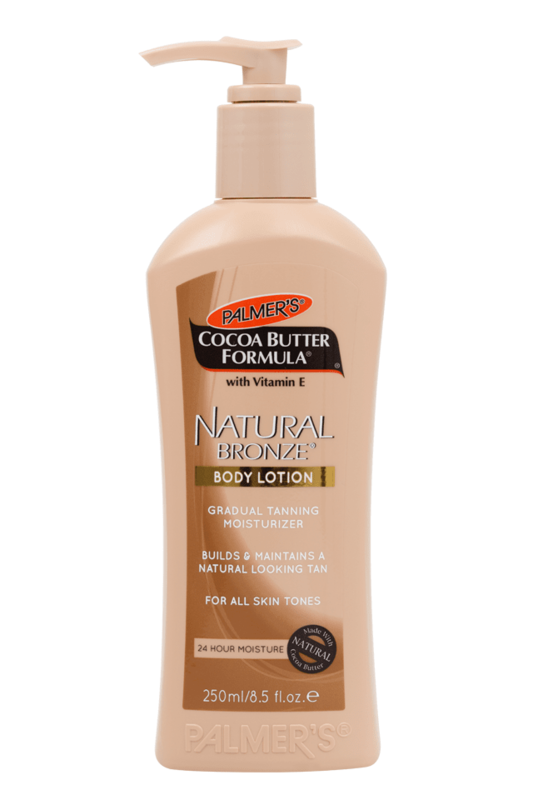 Free from Sulphates, Parabens, Phthalates, Mineral Oil and Gluten. Lavender Oil – Known for its calming and balancing aroma, Lavender also has superior regenerative & softening properties for the hair. Rosewater – Has anti-inflammatory properties and helps maintain scalp pH balance. Shea Butter - Sourced from the Karite tree, originating in the African Savannah. Africans have used Shea Butter for thousands of years as a natural cure and to protect the hair & skin from sun, wind, heat and saltwater. Sunflower Seed Oil - A natural source of essential fatty acids, including Linoleic Acid, which help repair barrier function and reduce inflammation. Extra Virgin Olive Oil - Loaded with antioxidants and minerals to protect hair from damaging free radicals. Olive Oil's unique lipid structure is able to penetrate the hair shaft quickly to repair hair and protect from future damage. Vitamin E - Aids hair's natural ability to repair damage, an essential step in the process of strengthening the follice which helps hair grow long and healthy. Avocado Oil – Rich in antioxidants, moisturizing plants sterols and monounsaturated fatty acids, Avocado Oil has a highly moisturizing and protective effect against environmental stressors and damage, and it may also stimulate new growth. Sage - Has soothing, strengthening and anti-bacterial properties and helps protect from hair breakage. After washing with Natural Fusions Micellar Rosewater Cleanser, dispense product onto ends and work upward throughout rest of hair. Allow product to penetrate for hair for 3-5 minutes. Rinse thoroughly.